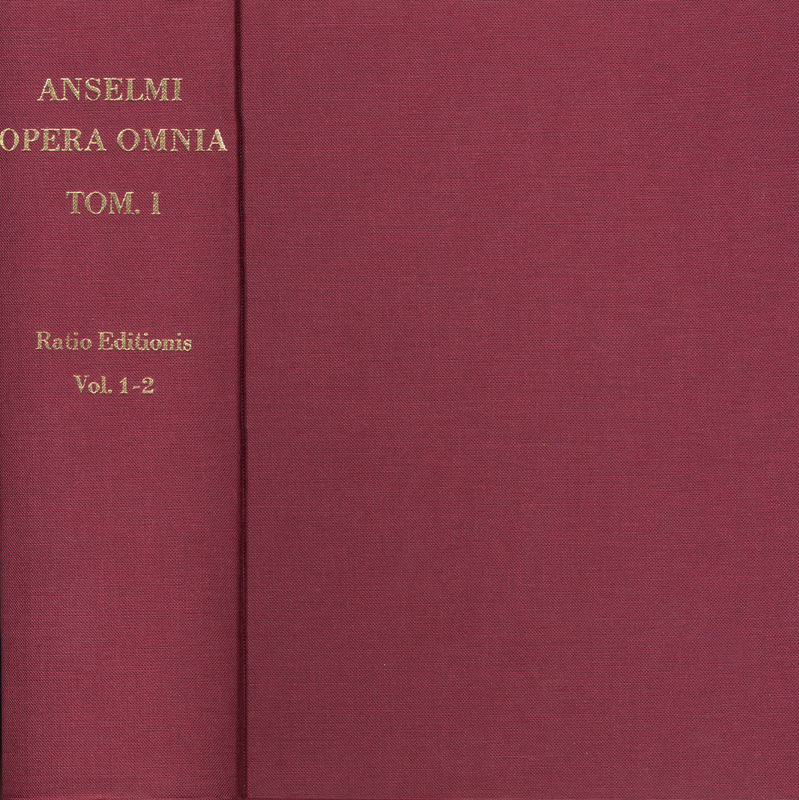 This critical edition of the complete works and letters of Anselm von Canterbury (1033–1109) is a an unabbreviated reprint of Volumes I-VI of the out of print edition, last published by Th. Nelson & Sons, Edinburgh, which was passed on to our publishing company in 1966. The ›Prolegomena seu Ratio editionis‹, in which the editor renders an account of his edition, have been added to this. In an overview of previous editions, the authentic works and letters have been catalogued and their chronology established. The manuscripts which were used are also described and discussed.